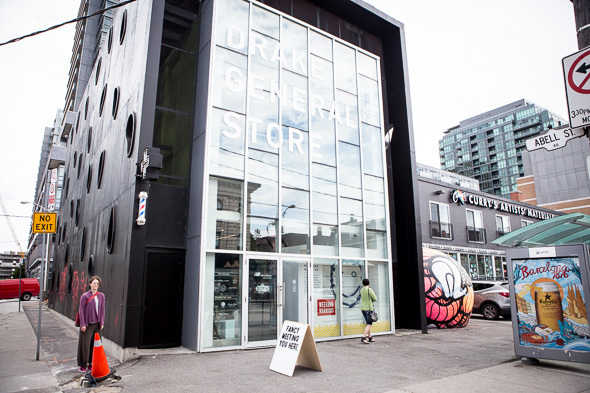 The Drake General Store is now a three-storey design store at 2 Abell Avenue in what used to be an abandoned condo presentation centre, across the street from their former location . The giant blobby brain-like sculpture outside and the odd little teardrop-shaped windows dotting the building didn't change, but the whole building has been shrouded in imperious black paint. 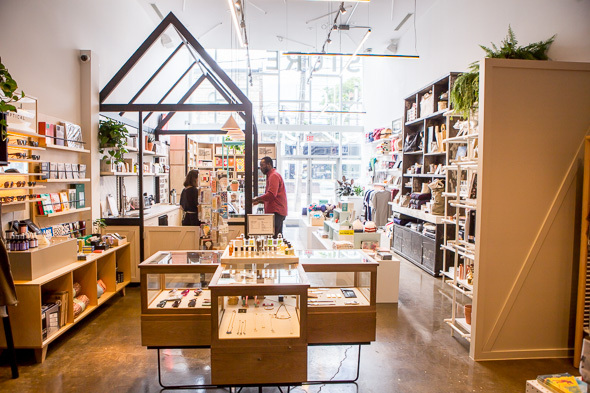 One might not think that three stories of space would be needed for what is essentially a massive gift shop for the legendary Drake Hotel , but the shop became so popular that expansion was necessary. 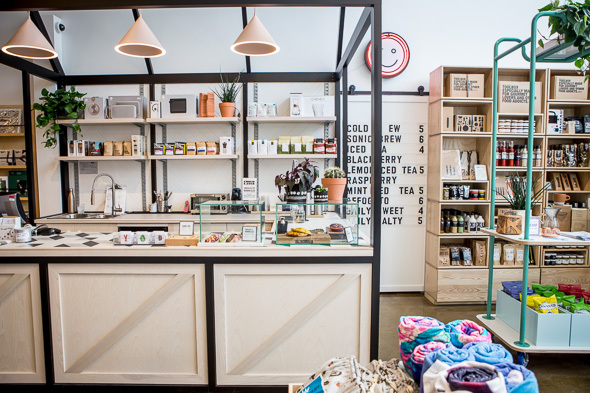 The Drake seized on the move as an opportunity to diversify their offerings and incorporate local business and unique products even further into their brand. 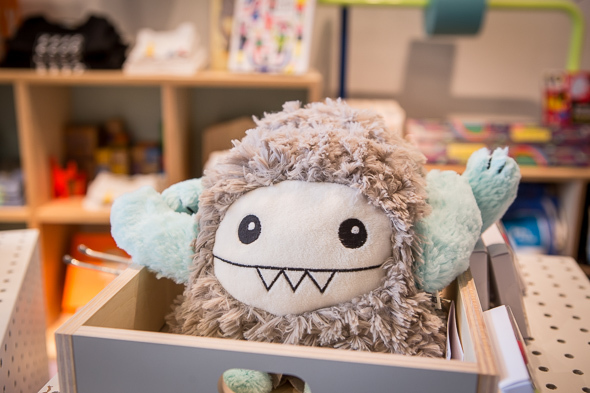 The second floor features a rotating pop-up shop, and the third floor hosts an events space that can be used for special art installations, talks, and more. 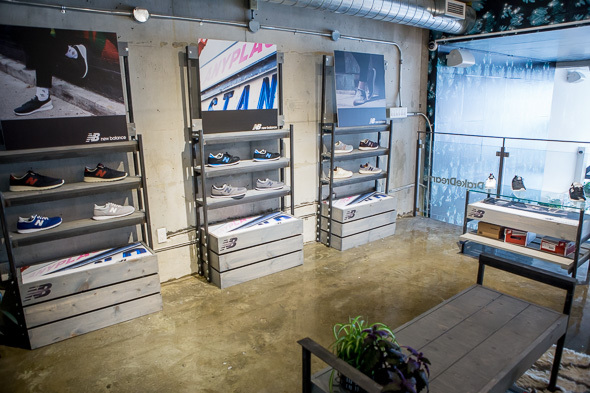 The store is divided into relatively distinct categories. 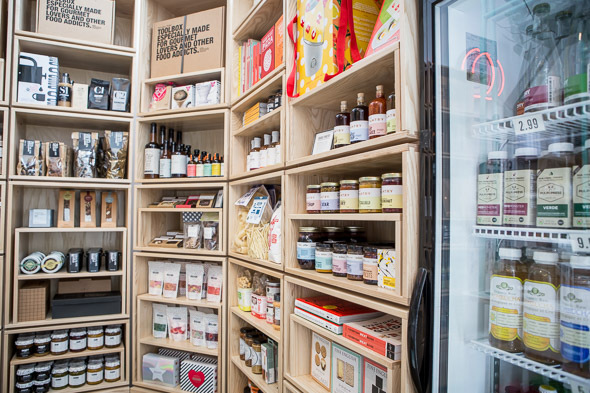 The food section takes up an entire corner with more on offer than ever before, most notably creations by the renowned Nicolas VahĂŠ which range from condiments to cookware. 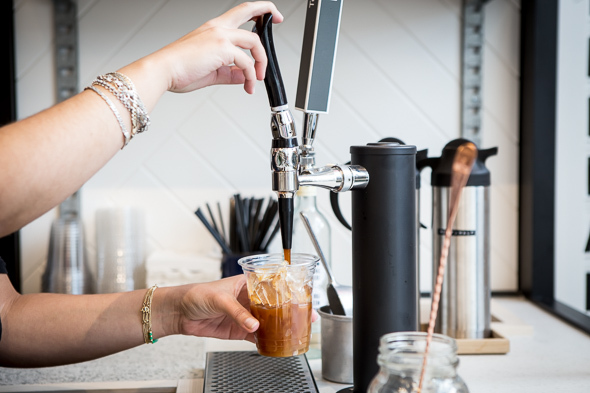 As soon as you arrive, you'll notice the cash station doubles as a coffee bar, with a unique cold brew tap and even tea on tap ($4 - $5) from Pluck , a Toronto company. Their coffee, from Reunion Island, is roasted in Oakville. They also serve treats at the counter which rotate regularly but always keep a Canadian or Torontonian influence. 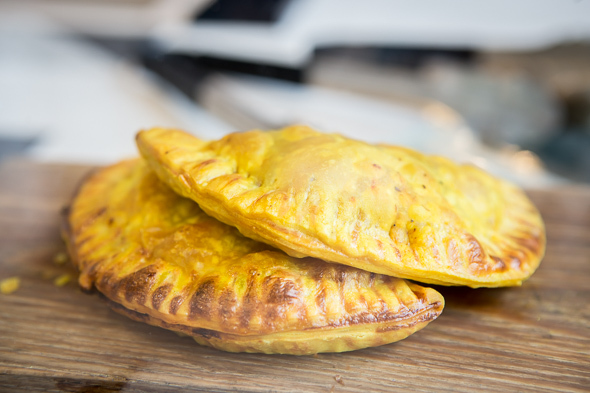 One day there could be delicious donuts in the case, and on another, a Toronto favourite like beef patties. 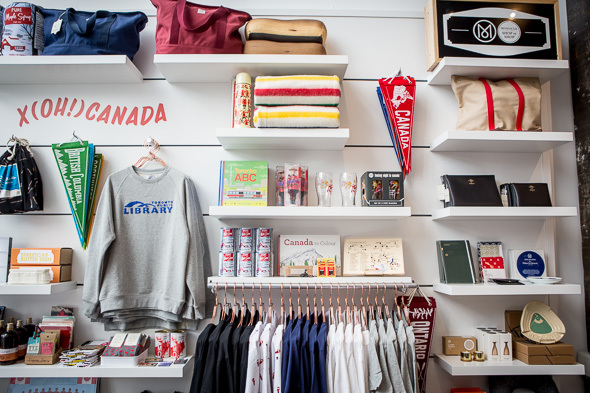 Just past the freezer which contains Augie's ice pops and Death in Venice gelato is the Drake General Store's Classic Canadiana collection, where you can pick up a pennant advertising your favourite province ($18) or a Toronto Public Library tee ($38). Beyond that, so many companies and designers are highlighted in their own special areas it's ridiculous. There's a Monocle "Shop in Shop." Creations from local eyewear designer Steven Alan peer up colourfully from glass cases. 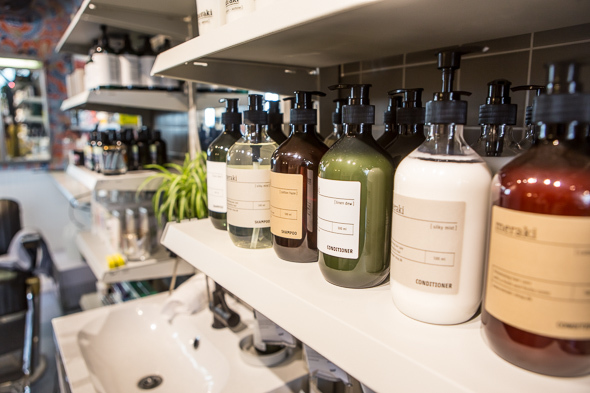 Their apothecary section features a full range of products from Denmark company Meraki, and they're one of very few Meraki retailers in Canada. A baby section features onesies and partnerships with beloved children's companies and programs, like Sesame Street. Advertised on the front door, the Drake General Store has partnered with Crows Nest Barbershop to put in a permanent chair at the back. Schedule an appointment, though, because the barber there is typically booked up and unavailable on Mondays.